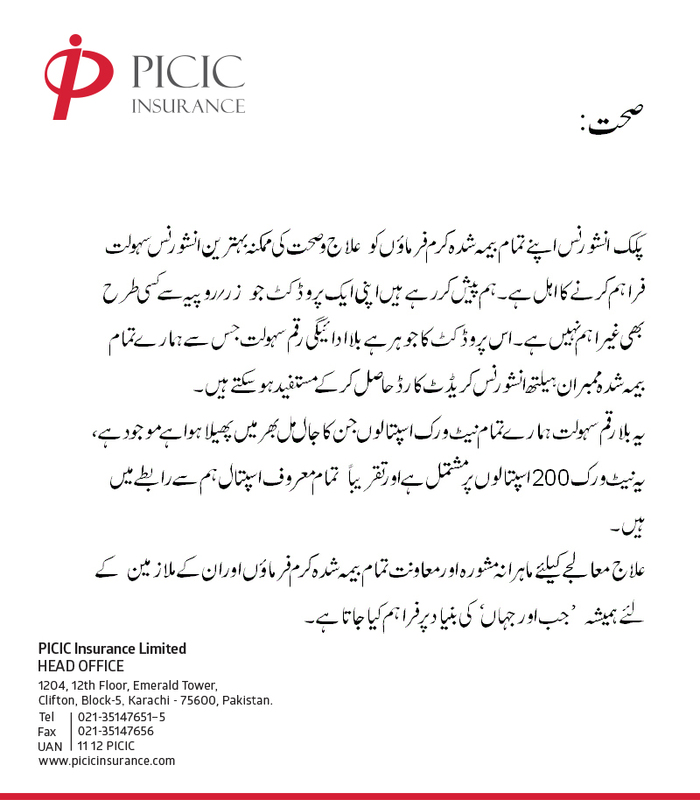 PICIC Insurance is capable to provide best possible quality medical insurance facility to its insured clients. We are offering a product which is value for money. The soul of this product is its CASHLESS facility which all insured members can avail by using our Health Insurance Card. This CASHLESS facility is available at all our network hospitals which are spread all over country. This network’s strength is under 200 but all known hospitals of well repute are in contract with us. Expert medical advice and support is always provided to all insured clients and their Employees on as and when basis.